and then use to create your own media. You can write out your project and share it with others. Etoys runs on any Mac or Windows machine, as well as on the OLPC XO machine. It is free. Find out about Etoys. 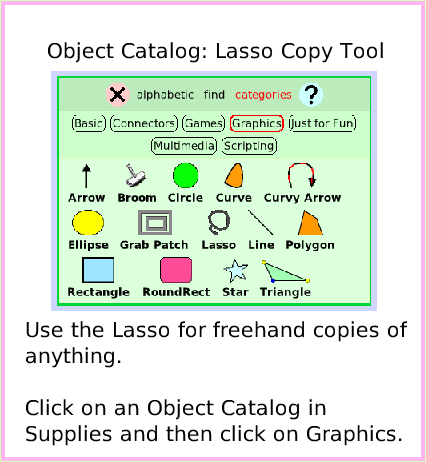 Text of this guide (for searching): Use the Lasso for freehand copies of anything. Click on an Object Catalog in Supplies and then click on Graphics. 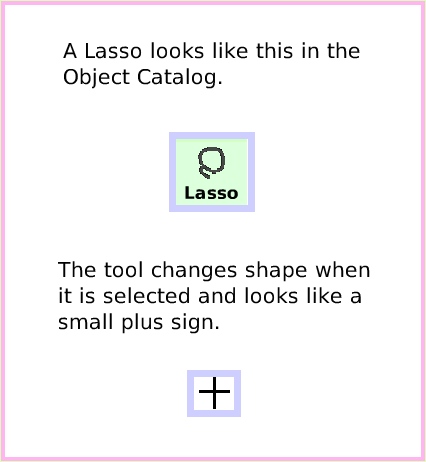 Object Catalog: Lasso Copy Tool. The tool changes shape when it is selected and looks like a small plus sign. A Lasso looks like this in the Object Catalog. 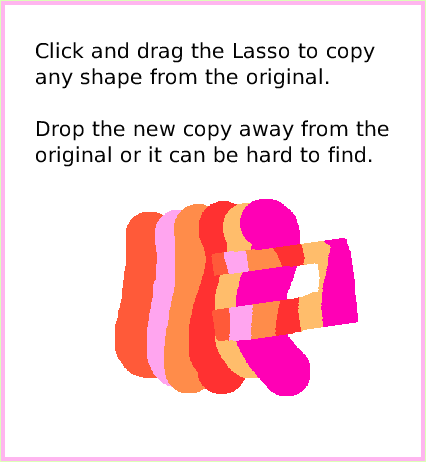 Click and drag the Lasso to copy any shape from the original. Drop the new copy away from the original or it can be hard to find. 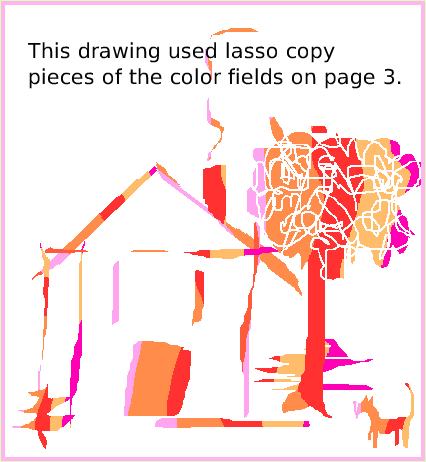 This drawing used lasso copy pieces of the color fields on page 3.